The Playstation 4 was just officially announced at the Sony Press Meeting in New York. They showcased the specs it'll have, some of the features and the design of the controller. The Playstation 4 will feature an 8-core x86 CPU and 8 GB of GDDR5 RAM. The console will also feature a secondary chip for other tasks such as preserving your game session for resuming at a later period after being put into sleep mode. 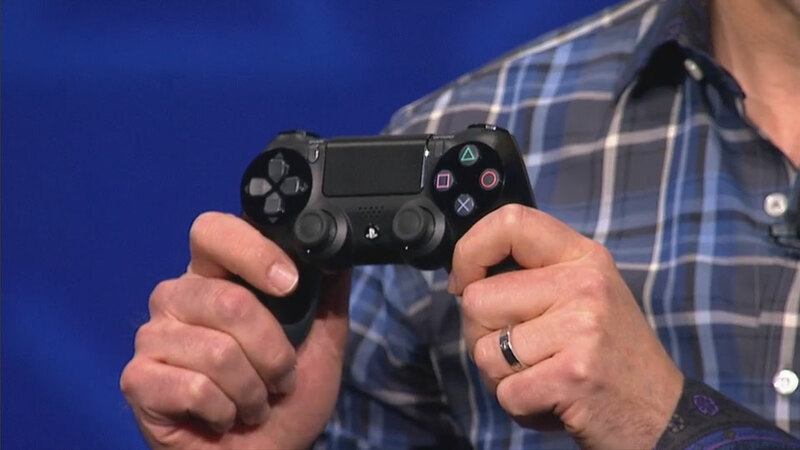 The Dual Shock 4 controller will feature a touchpad, and it'll also feature a "share" button that will enable players to save screenshots or videos and upload them seamlessly, while playing, the controller also features a headphone jack and a sensor bar to easily identify players. The Playstation Network will be enhanced to enable previewing of titles before you've even purchased them, and it'll also enable playing of games before they're finished, and only after a certain amount of the data has been completed. Remote Play that was present between the PS3 and PSP has returned between the PS4 and PSVita. Allowing players to take their session from the TV Screen and onto the go with the Vita. It is planned to enable all PS4 games to use this functionality, not just a select few like the PS3/PSP did. Social interaction plays a big part on the network. You can share screenshots, videos, and even your current game session as you play allowing friends to comment in real time, and if you get stuck on a hard enemy, or need help, you can ask them to simply take over your session for you instead. With Playstation Cloud, the plan is to enable streaming of PS1, PS2 and PS3 games streamed via the cloud, but wouldn't be available from launch of the PS4. Slated for a Holiday 2013 launch. Form factor, and price point haven't been revealed yet. Those will likely come at E3.